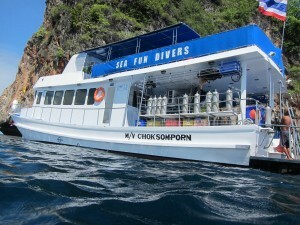 Diving Phuket with MV Sea Fun. We would like to wish all of Dive Phuket Today guests excellent diving around Phuket on our recommended Phuket Day Trip Boat. 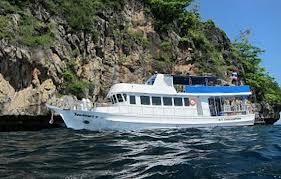 She will show you all that is best about Phuket dive sites. Phuket Island offers clear water and all year round good visibility. 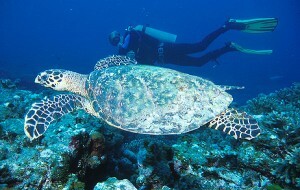 Plus a great diversity of dive sites and marine life to enjoy. MV Sea Fun is running all year round with a flexible schedule, we pride ourselves on our service and customer satisfaction and we will be very happy to welcome you aboard. 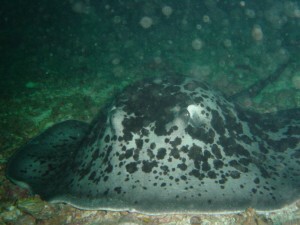 Monday – 3 dives at the King Cruiser Wreck, Shark Point Phuket & Koh Doc Mai. 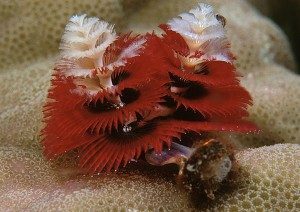 Tuesday – 3 dives around Racha Yai Island. Wednesday – 2 dives at Phi Phi Islands. Thursday – 3 dives at Raya Noi & Raya Yai Island. Friday – 2 dives at Phi Phi Island. Saturday – 3 dives around Raya Yai Island. Sunday – 2 dives at Phi Phi Islands. The price includes all transfers to and from /the boat from your specified hotel or accommodations. Most transfers are all inclusive, however some areas, due to their location, have a surcharge. There will be a light Breakfast served on the boat upon arrival as well as lunch, which will be served in-between dives. All drinks, like water, Coffee & Tea and Milo are all inclusive on the boat. Bad weather Policy: Due to bad weather the dive company has the right to change the schedule without prior notice for yours and everyone’s own safety. I just want to thank M/V Seafun Divers and its crew for recently helping me achieve my Instructor status. They’ve definitely created an enjoyable environment conducive to learning at its highest level. Special thanks goes out to Renee, and Nick for going above and beyond what was anticipated. Cheers guys!